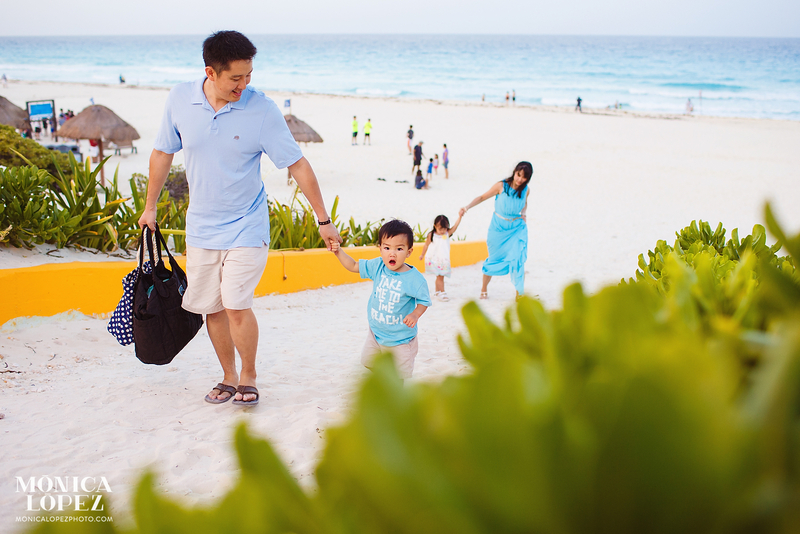 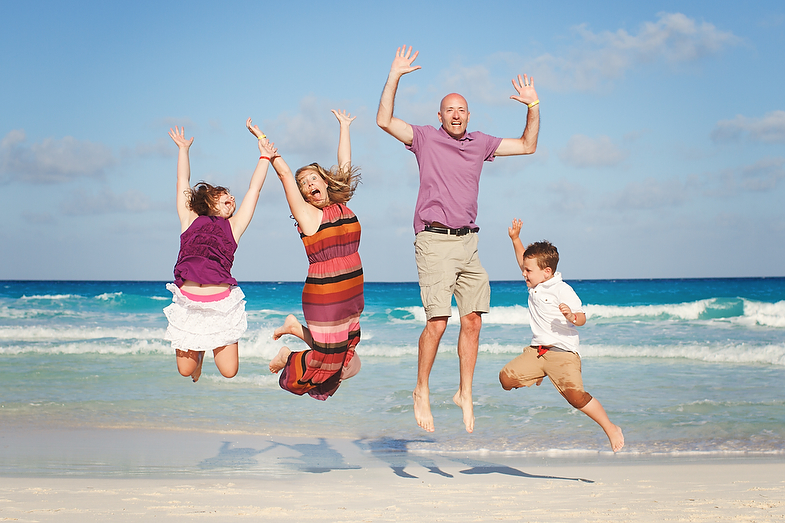 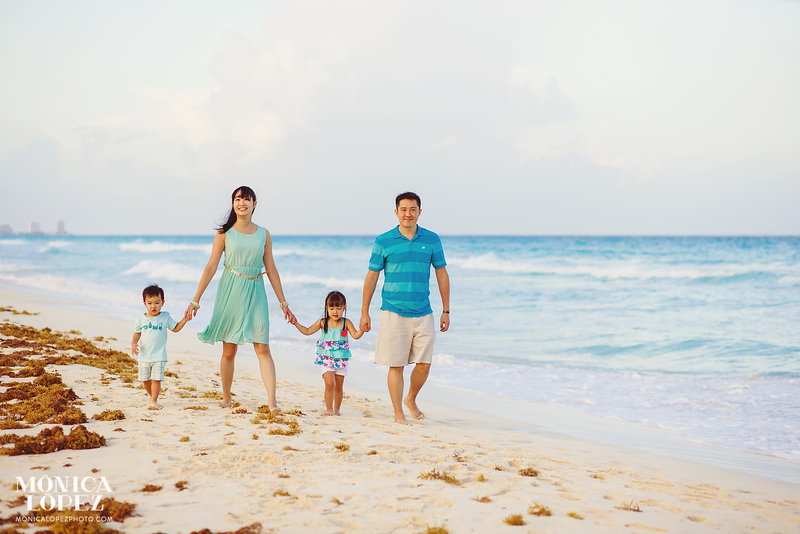 I have confirmed that Playa Delfines is among Cancun’s top spots for beach portraits with kids! Located at Kilometer 18 of the Cancun Hotel Zone, Playa Delfines (“Dolphin Beach”) has a playground, a colorful lifeguard stand to climb, and a lookout point with some of Cancun’s most unbelievable ocean views. 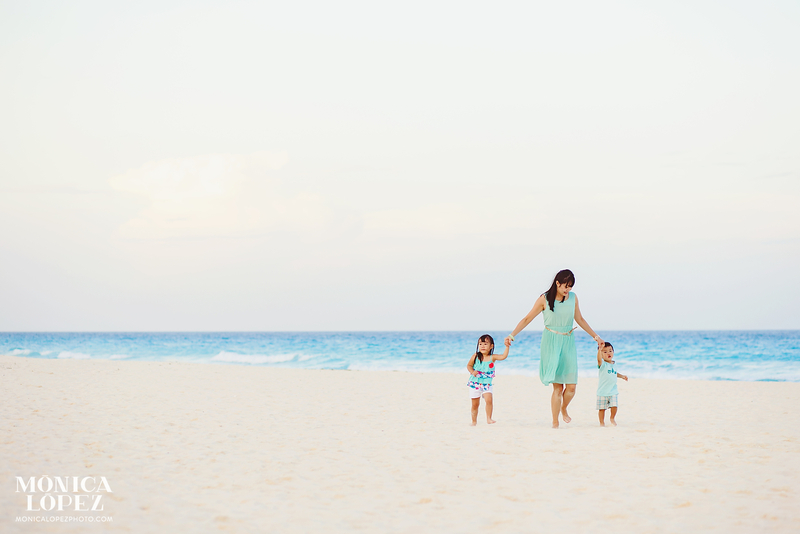 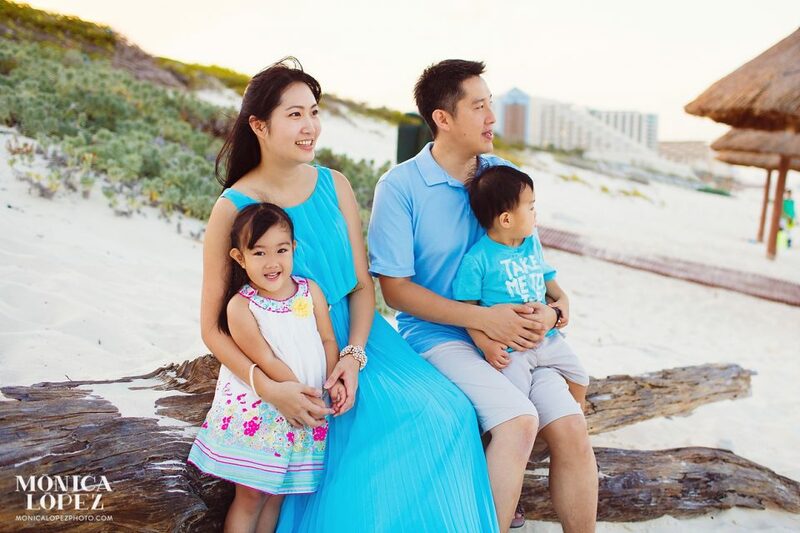 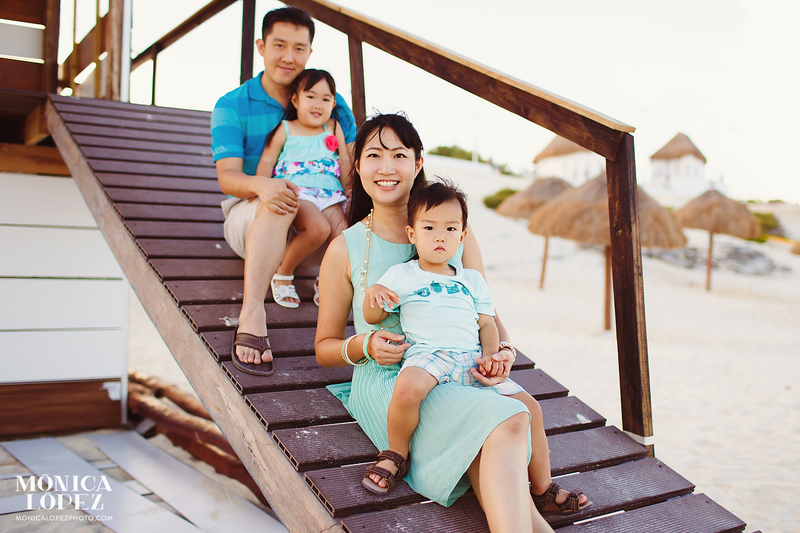 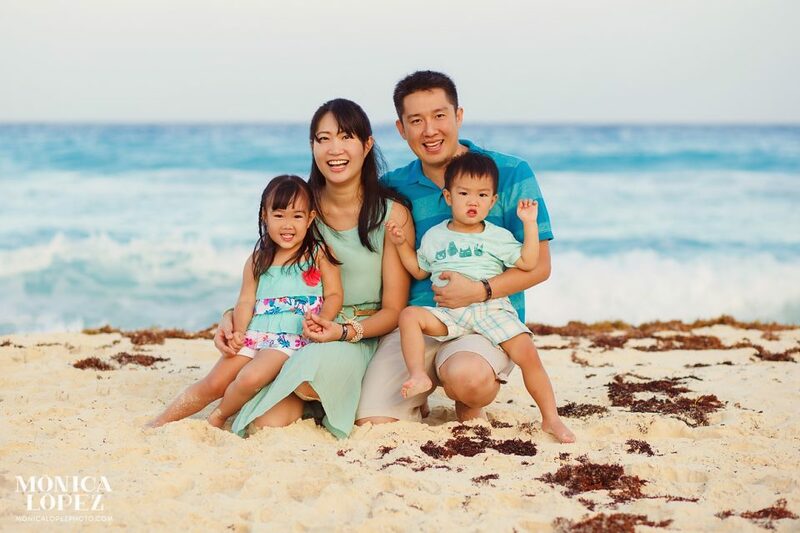 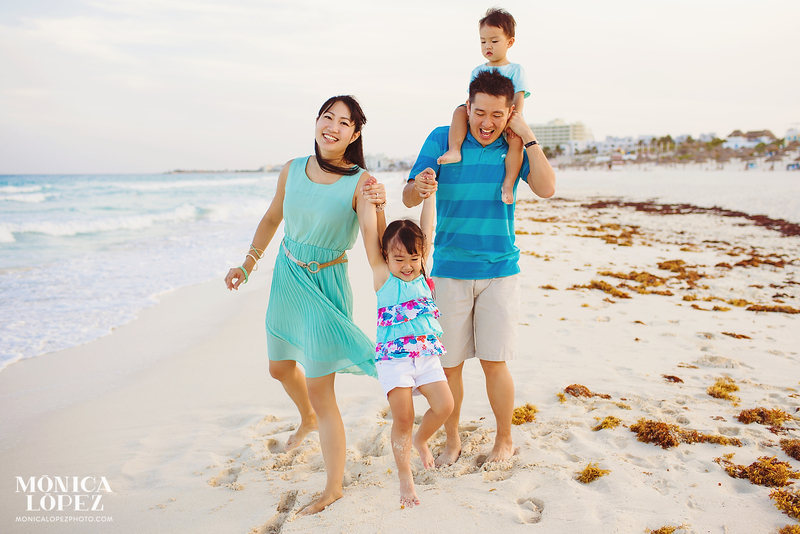 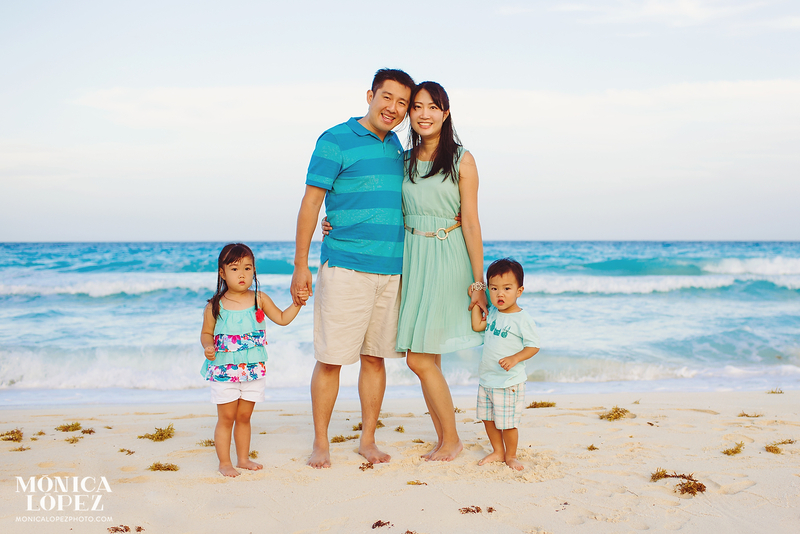 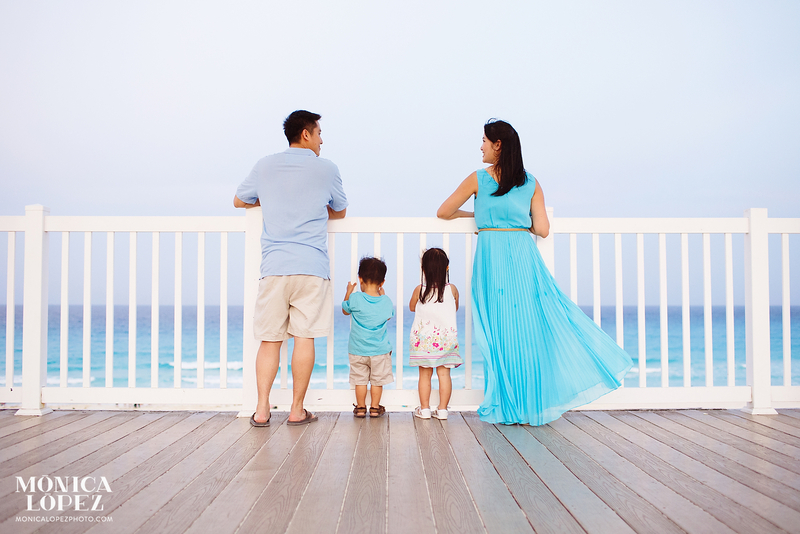 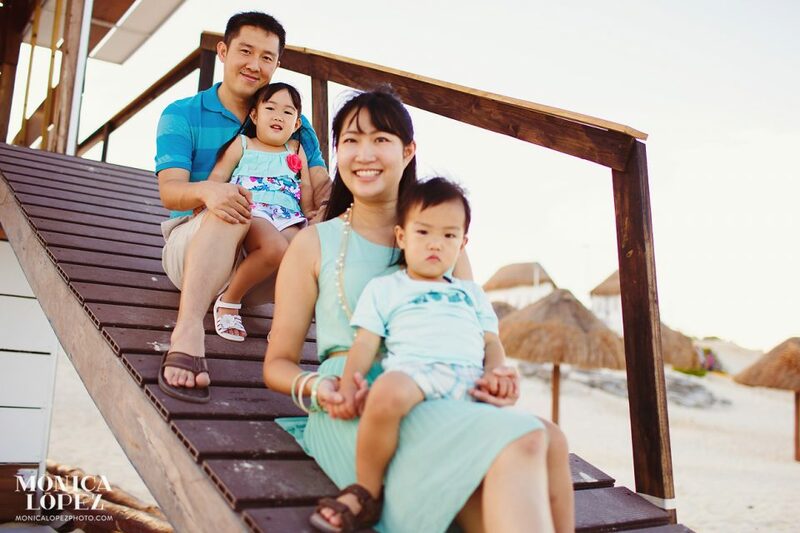 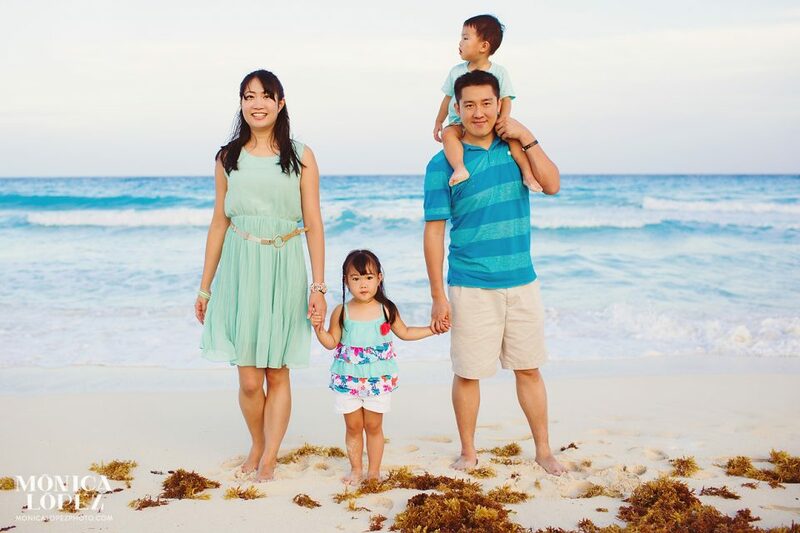 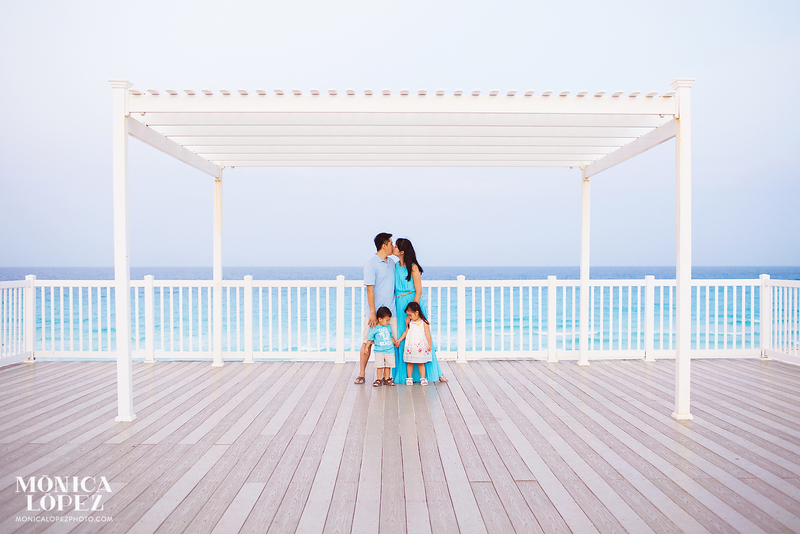 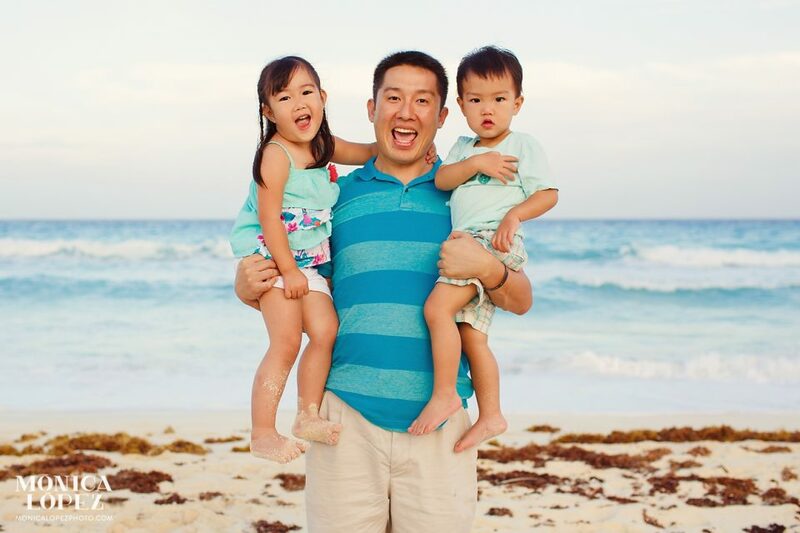 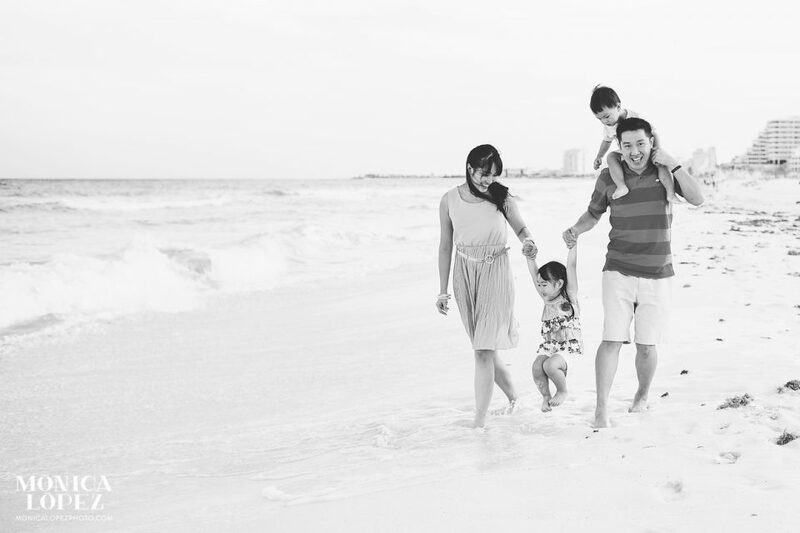 With so much to see and explore, it’s no wonder the Hsiung family had so much fun during our Cancun family beach portrait session! 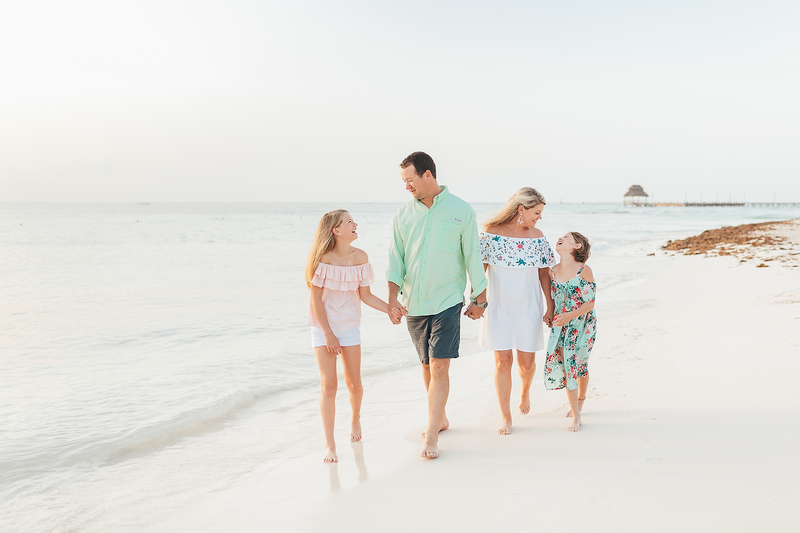 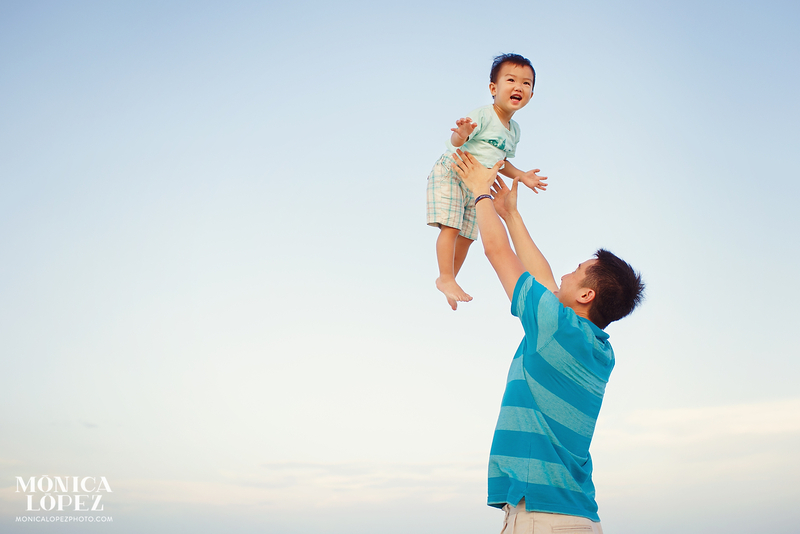 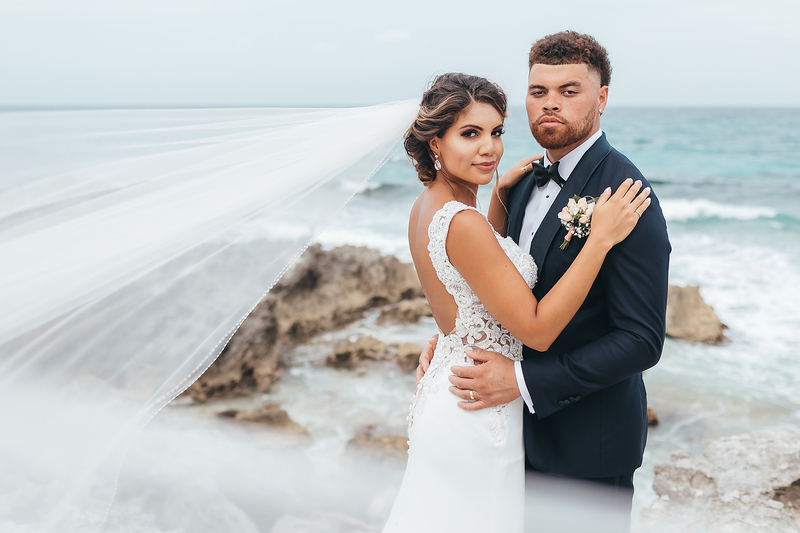 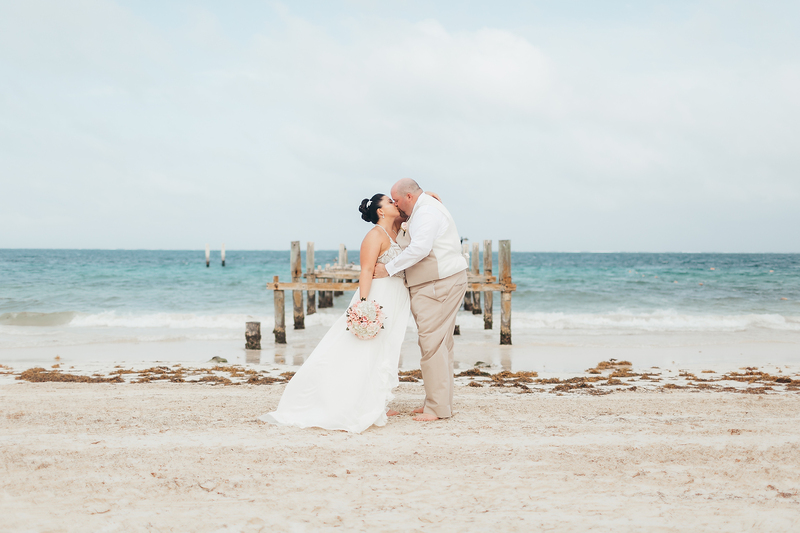 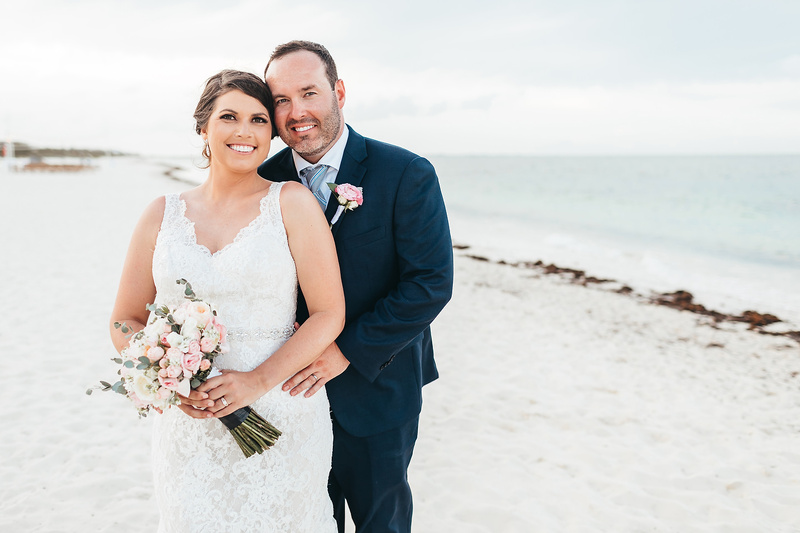 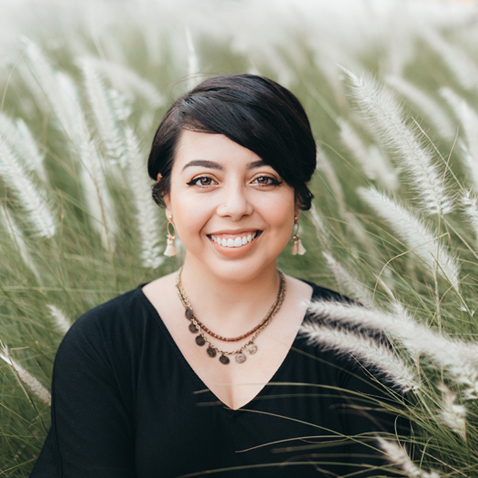 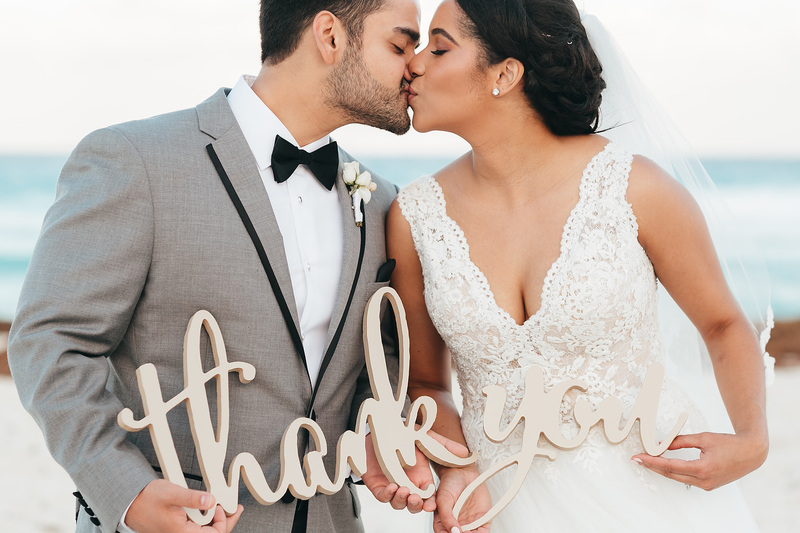 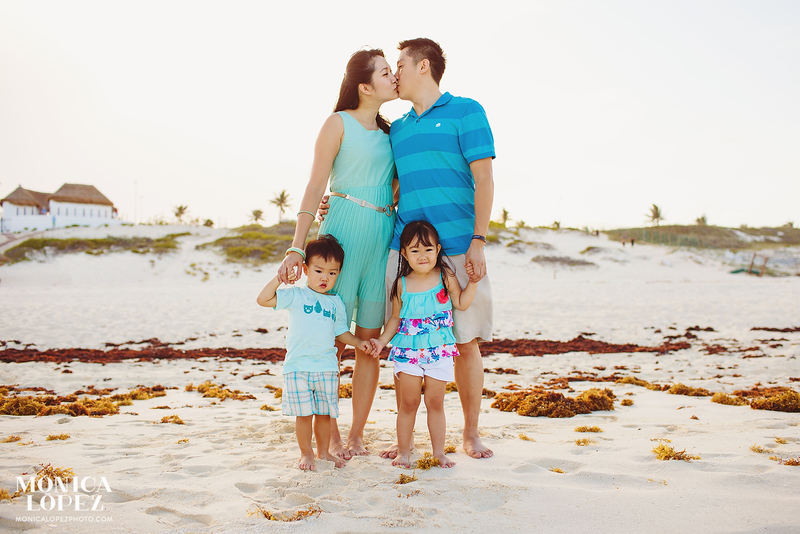 Silvia and her photographer husband David brought their two adorable kids to vacation in Cancun, where they had a blast by the beach and even visited Chichen Itza. 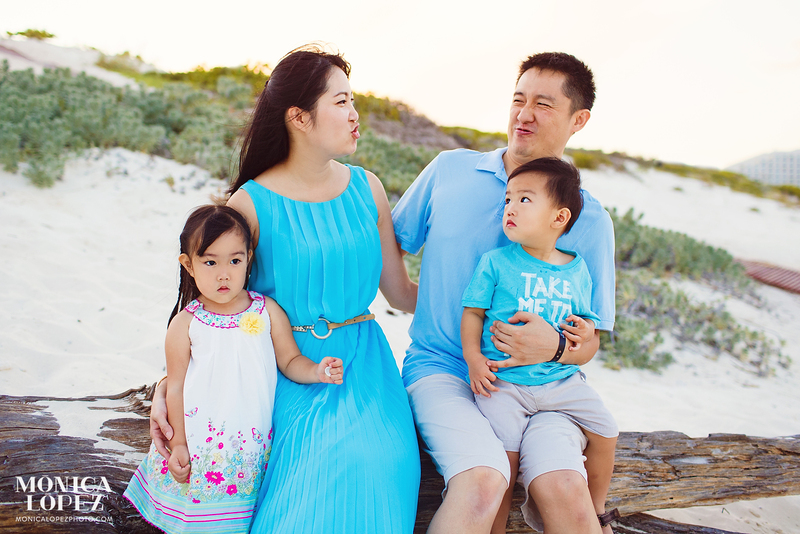 While they were here, the Hsiungs wanted to take advantage of our gorgeous beaches for a family photo shoot. 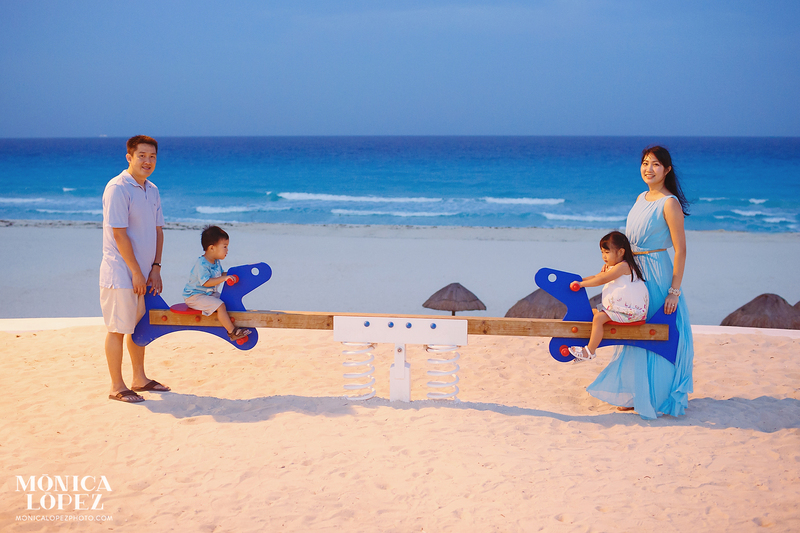 I took them to Playa Delfines for its extensive white sand, playground and of course the amazing color of the water. Kids Zoe and Zion were absolutely adorable; I especially loved Zoe’s white dress with bright pink flowers and Zion’s “Take Me to the Beach” t-shirt… how perfect! 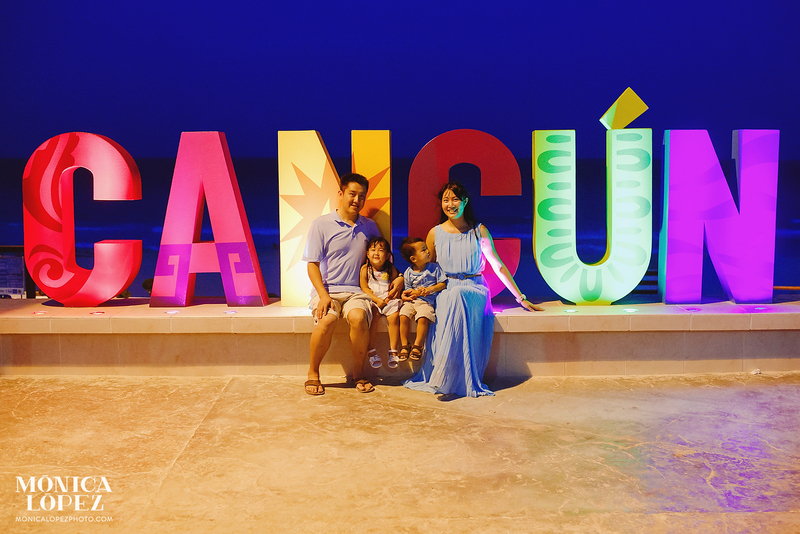 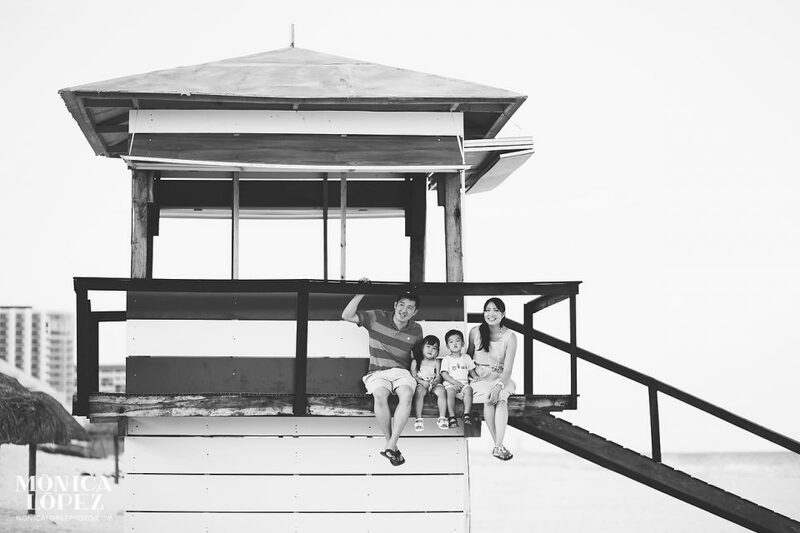 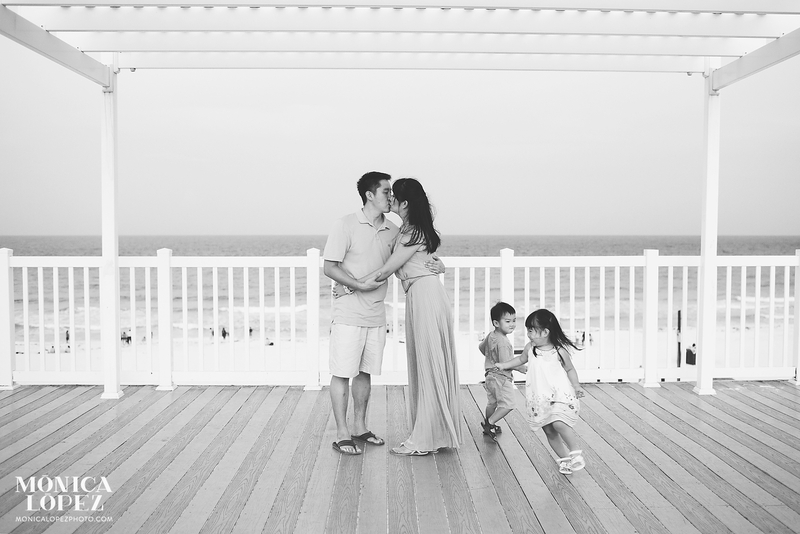 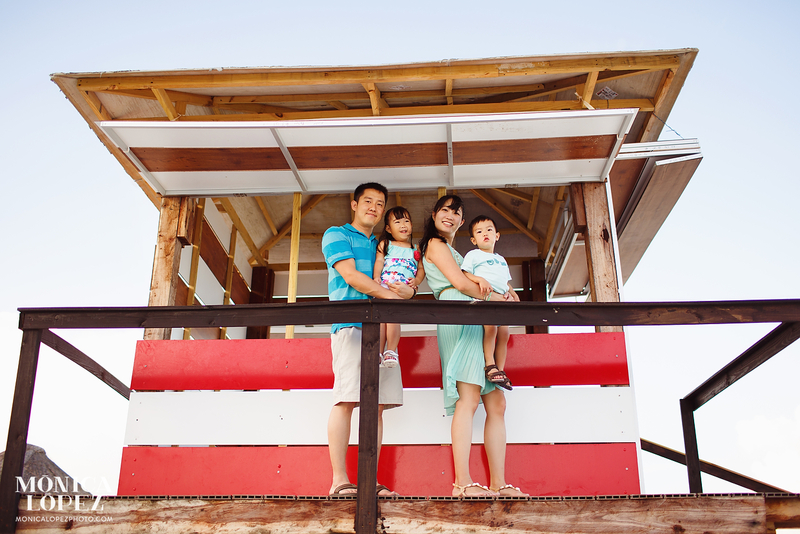 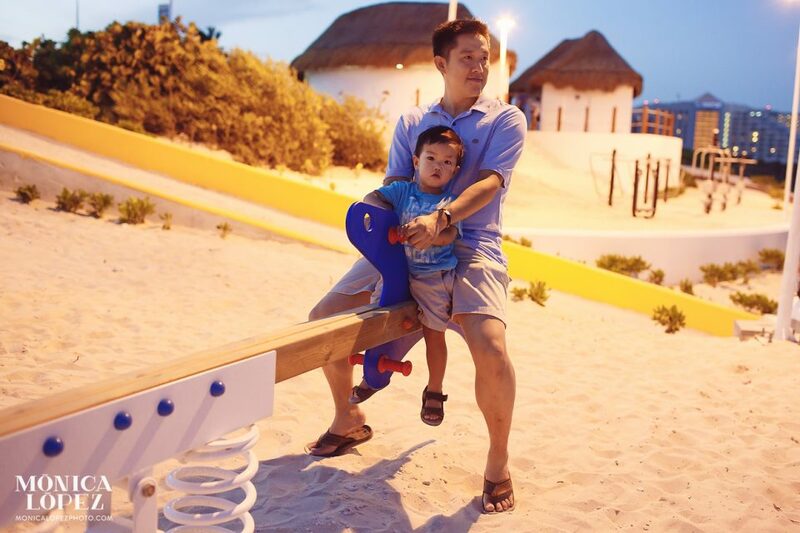 Of course we got some shots of the Hsiung family playing by the water and on the red-and-white lifeguard stand, but my favorites are the see-saw pictures and the nighttime family portrait in front of the iconic “CANCUN” sign. 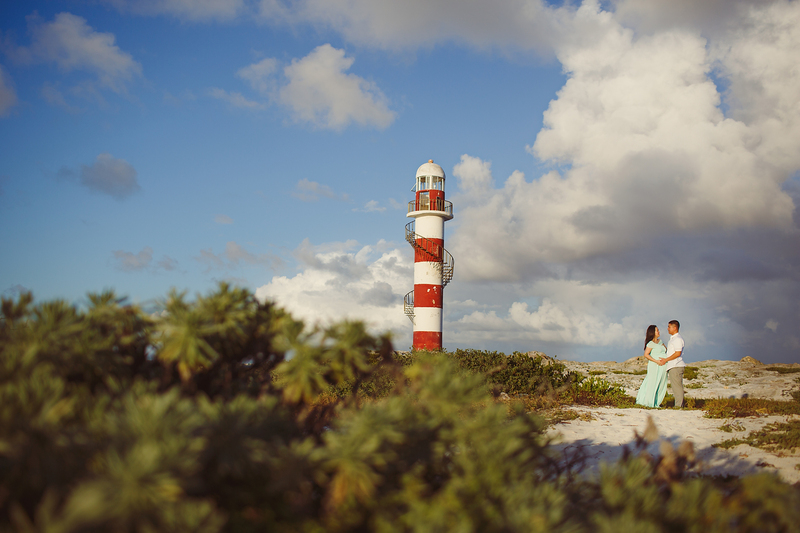 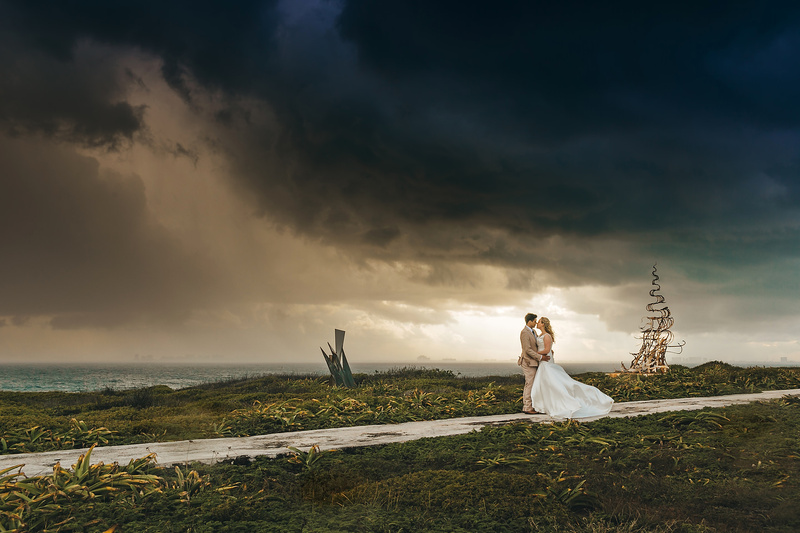 What an amazing spot for a Cancun photo shoot!